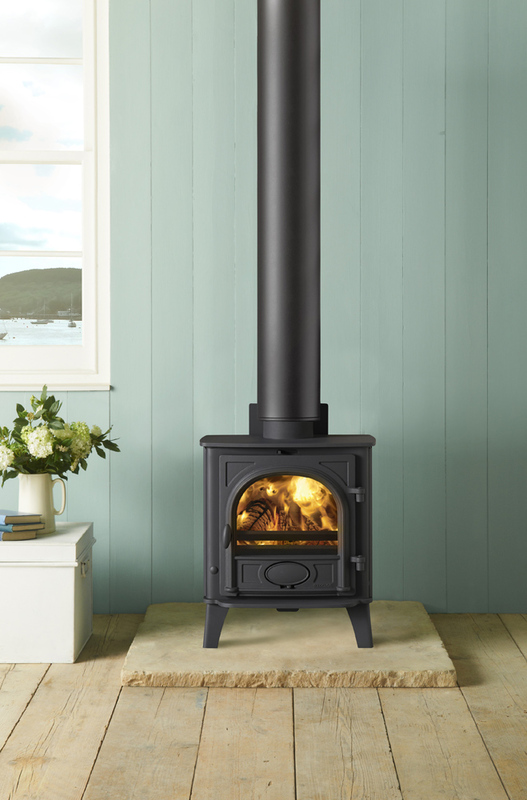 The Stovax Stockton 5 stove offers you a squarer landscape style compared to the portrait style of the Stockton 3 or Stockton 4, and is available as either a wood burning stove or as a multi-fuel model with external riddling. The additional width allows you to load up to 13? (330mm) in length. 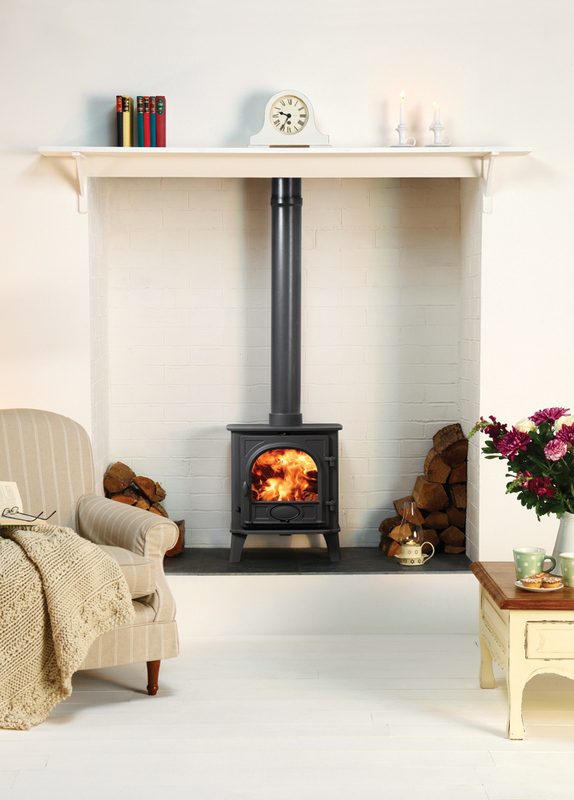 Both wood burning and multi-fuel versions are available with a low canopy. Available in Matt Black, Blue, Brown or Green at individual costs. Please contact us for pricing information. 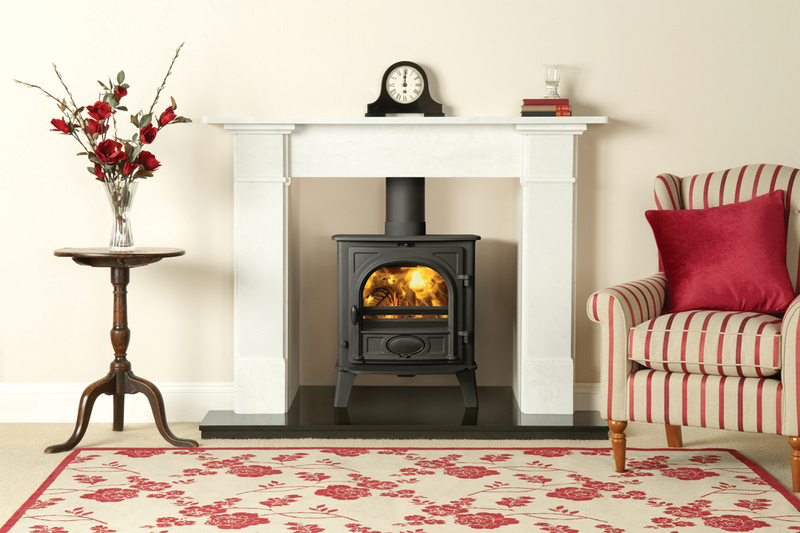 With eight sizes, and some models having a further choice of door styles and canopies, there is a Stovax Stockton stove to suit any home. 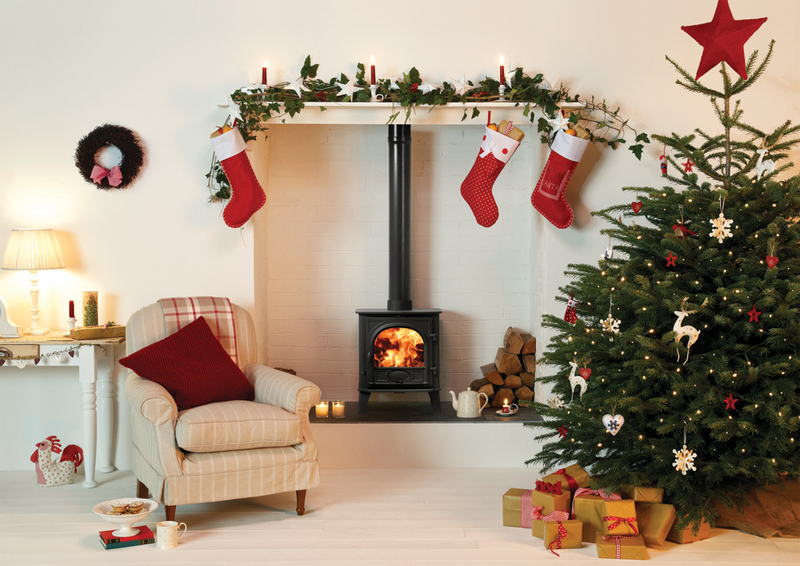 Furthermore, there are inset versions, double sided versions and even boiler versions, so whether traditional or modern, large or small, in country or town, burning wood or solid fuel you should find a Stockton to match your setting. 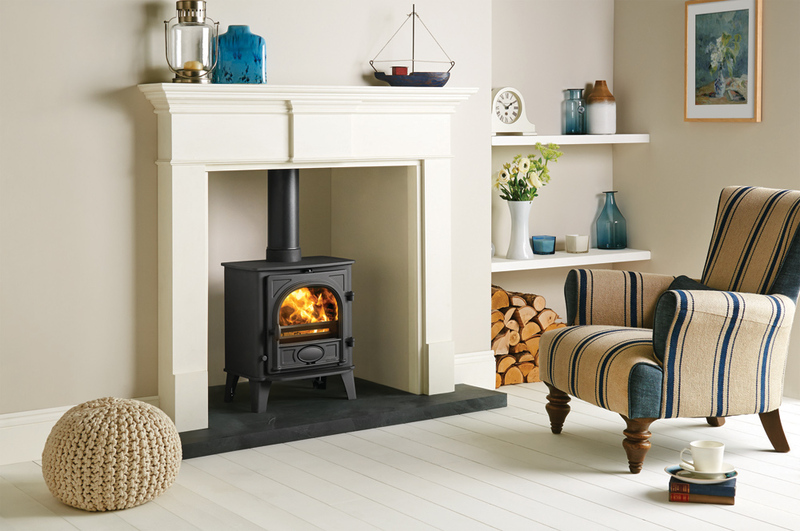 The mini stove of the Stovax Stockton range is specifically designed to fit neatly into a standard 22”(560mm) high x 16”(405mm) wide British fireplace opening with the chairbrick removed. 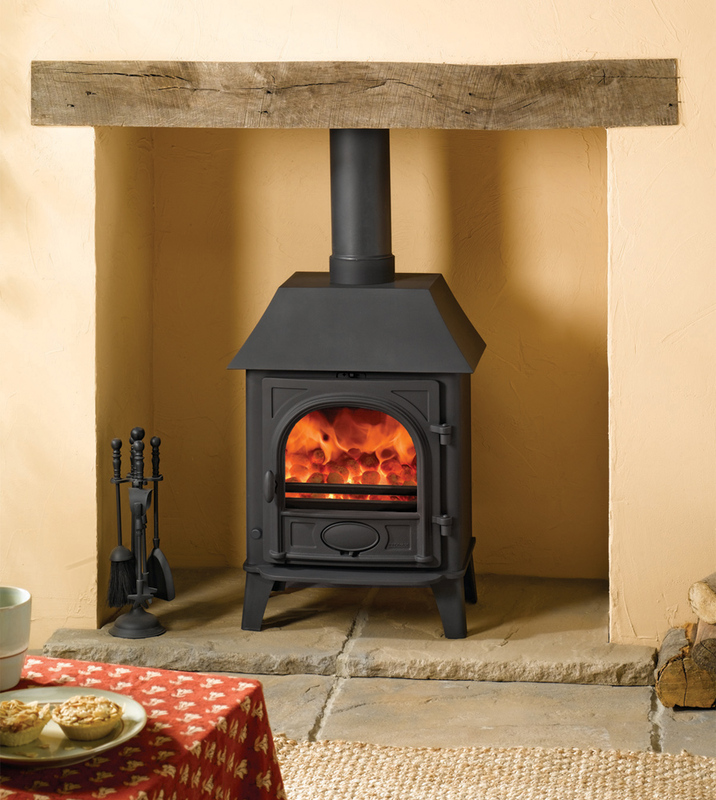 It has full multi-fuel capability which means that it is able to burn both logs and smokeless fuels. 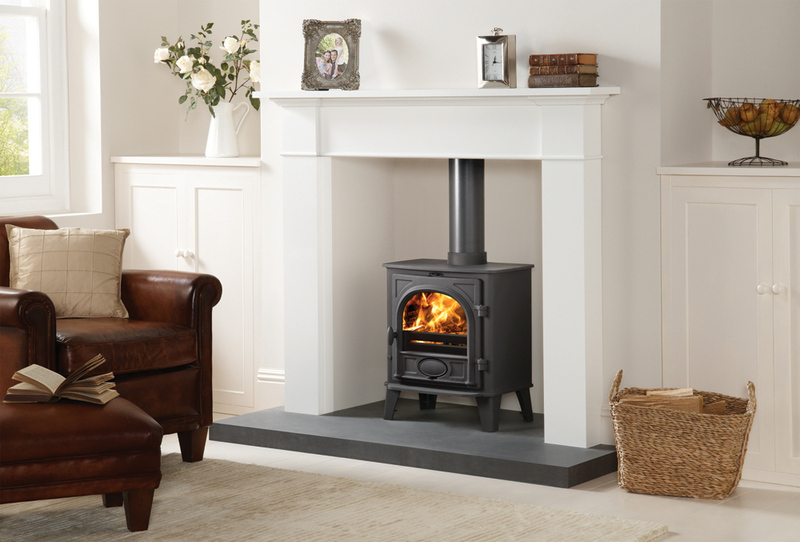 Available in both wood burning and multi-fuel versions, the Stovax Stockton 4 is one of our most popular stoves. With its slim, vertical alignment it is ideally suited to smaller rooms and will complement a traditionally styled or contemporary interior. Stovax Stockton 5 Multi Fuel stoves have been approved for use in smoke control areas when fitted with this kit. Stovax Stockton 5 Wood and 7 have been approved for use in smoke control areas when fitted with this kit.